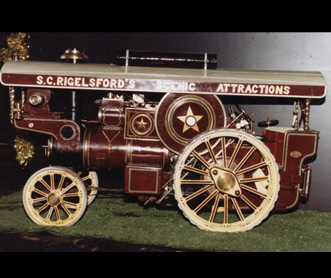 This is a Horse Drawn Steam Powered Fire Engine. 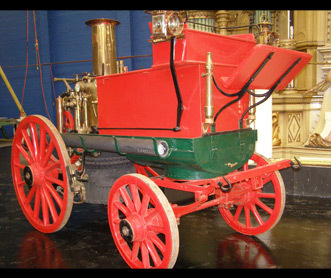 A portable steam fire engine is a lifting and forcing pump worked by steam; the pump, engine, and boiler being arranged upon a carriage with wheels so that the whole can be readily transported from place to place. 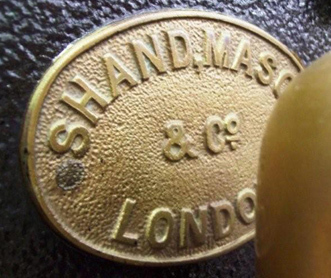 Our research so far indicates that this is a Shand Mason Double Vertical model which was first sold in 1889. A copy of a Shand Mason brochure (information courtesy of Ken Jones of British Steam Fire Engines, UK) lists just such an engine built for HM War Department for use in Hampshire army camp (Aldershot Camp). If this is the same engine it would appear that it was sold on at a later date and unfortunately we have not been able to establish later history until 1980s when it arrived to Australia. 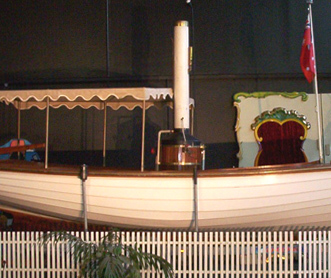 It first arrived to Sydney and was later moved to Marysville, Victoria, where it stayed until February 2009. It miraculously survived devastating Marysville fire and we were fortunate enough to acquire it at a later date. Built in 1909 by Garrett of England No.27342 is believed to be the only Showman's engine/Tractor to come to Australia, one of four built it is the oldest 4CD to survive. 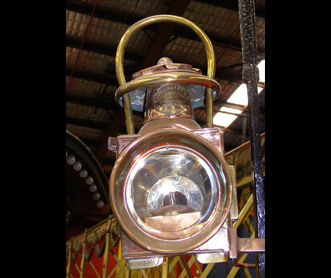 Ordered as a Showmans Tractor by Charles Hewson for his travelling Moving Picture Show, it provided transport and Arc lamp power in showland for many years, in Scotland and Northern England. During this time it travelled and also powered Gallopers (Steam Merry-go-rounds). 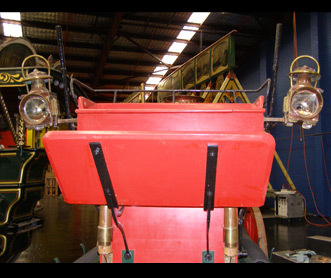 The weight is 8 tonne, working pressure 120lbs Max 180lbs. Generator 40 amps 110 volt at 750 RPM. Tyre pressure is 1 ATM. 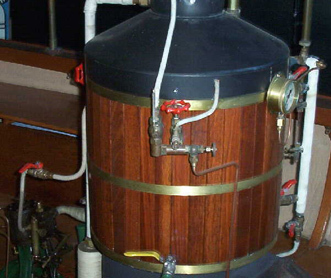 After restoration in the 1980's the engine travelled in the United States. 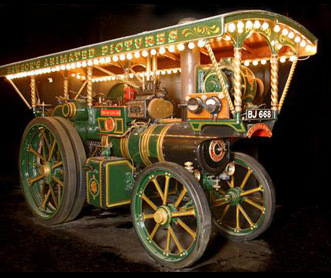 The Model Showman’s Tractor is a 1/5 scale live steam model of a Showman’s tractor similar to the Garrett in the collection. It is 3’ 3” in length. 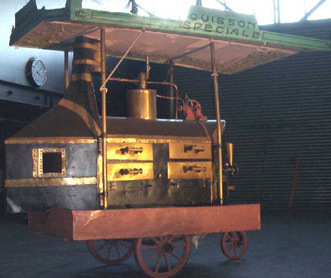 This chestnut roasting machine is we believe from the streets of Paris, approximately 1900. We don’t have any information about this machine, you may be able to assist us with this? This small steam powered launch is a recent addition, having been built in 1990. It is used regularly and is a real “African Queen” experience.